When it comes to condo management, it is always recommended to set a code of ethics for the board members. They are required to act in an honest manner and in good faith. As a board member you should act in the best interests of the association.In fact, the law too has set a general standard for the members to follow. Having a code of ethics will help in increasing the chances that everyone on the board will act in an ethical and honest manner. It is also going to show the owners the standards and values set by and followed by the board. All condo boards should take a proactive step of formulating and adopting code of ethics for its board members. There are many ways that this can help in contributing to the success of the community. Anyone holding an important position in a community is required to maintain honesty. When there is a formal code of ethics in place, it will help in ensuring that you can hold members accountable if there is any case of unethical conduct. Anyone who is a board member should set the example for good conduct. In fact, what they do and how they do things can also tell a lot about the board to the community. When you create a code of ethics for the board, it can also set a level of conduct that is expected from all the members. It can highlight the standards about what is acceptable and what is not, thus preventing the members from any controversial behaviour. The code of ethics should also set a guideline on how conflicts in the community be handled. Whenever there is an issue between the board members or the community members, the conflict should be resolved in a fair and unbiased manner following the processes mentioned in the community’s policies. When the steps are clearly outlined, there will be no confusion between the members on who to resolve any conflicts. Situations can arise where a director can find opportunities and can promote their interests above those of the community. In other words there can be a conflict of interest. This can happen when a board member has a relative who is a vendor providing repair and maintenance services. When there is a code of ethics in place, it can help in addressing such situations. The code must require all members to disclose any conflicts of interest. It should also outline what process should be followed if such a situation arises or when there is a violation. It can be difficult for a condo board to create an elaborate code of ethics that covers all aspects of condominium management. Your condo management company can help you draft a more detailed document. It can cover other aspects including the importance of democracy, confidentiality, and the need to fight harassment and discrimination. 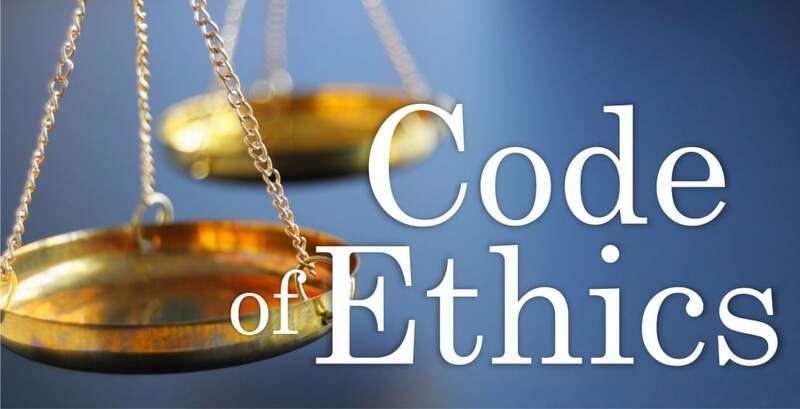 When you create a code of ethics, make sure that there are also provisions for enforcing it. Your condo management company can help in closing the gap between the code of ethics and your community’s bylaw.